Friday’s death toll rose to 173 as violence continued across Egypt overnight. 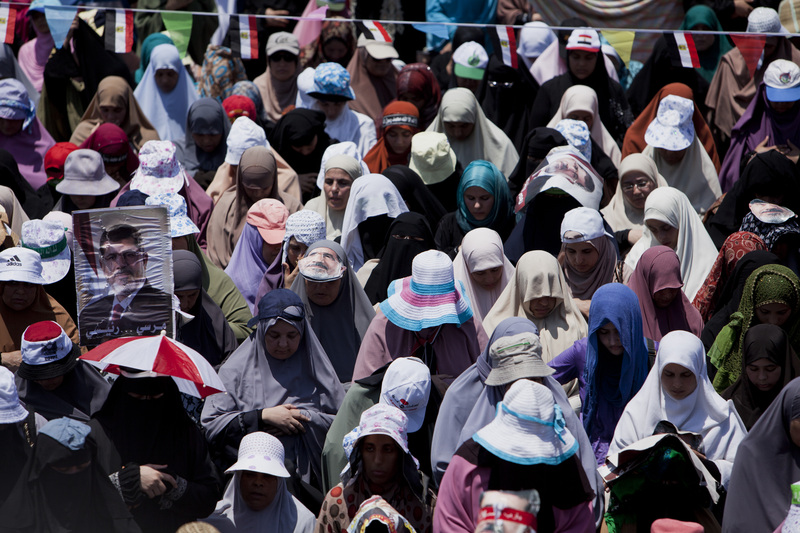 Tensions escalated Saturday when the military opened fire at a mosque in central Cairo. Al-Fateh mosque, near to Ramses square in central Cairo, had been used as a makeshift medical center during Friday's clashes. At least 1,000 Muslim Brotherhood supporters were said to have taken refuge there during the violence, remaining overnight as security forces surrounded them. Although some were able to leave — a group of women were escorted out at one point — many were afraid that trying to get out would mean being attacked or arrested. State television showed the military in armored vehicles firing gunshots at the mosque, although it was allegedly in response to shots coming from gunmen in the minaret. Watch a video feed of the protestors in the mosque overnight here. Reports released by the health ministry are saying that 173 died in Friday's violence, after the army cracked down once again on protests in support of ousted President Mohammed Morsi. Among the dead is Ammar Badie, son of Muslim Brotherhood leader Mohammed Badie, who was shot dead near Al-Fateh mosque. The interior ministry has also said that 1,004 Muslim Brotherhood "elements" were arrested during the protests. Now, Egyptian Prime Minister Hazem el-Beblawi is proposing the legal dissolution of the Muslim Brotherhood, according to a government spokesman.The Brotherhood, founded in 1928, registered itself as a non-governmental organization in March. The Freedom and Justice Party, the Brotherhood's political arm, was set up and registered in 2011, after ex-President Husni Mubarak's ousting.